Sellers who submit product feeds to Google Merchant Center so their items will appear in Google's search results have just a few weeks left to ensure their feeds contain unique product identifiers. This week, Google reminded merchants about the upcoming requirement, which takes effect May 3. Requiring unique product identifiers—also known as item codes, or numbers that pertain to a particular type of item—in the feeds will enable shoppers to more easily find the items they're looking for, notes Enrique Munoz Torrez, product manager of Google Merchant Center. All products, except clothing and one-of-a-kind items, will need to contain this information, come May. Those that don't have item codes may not post in Google Product Search, though the feed may still be accepted. Sellers should review their items now to avoid problems, says Auctiva Commerce Product Lead Chris Eckland. "Google Product Search is the primary source of traffic for many merchants, so it's very important that merchants stay informed regarding changes to Google Product Search," Eckland notes. "As long as sellers comply with Google's feed requirements they can easily take advantage of the extensive reach and traffic that Google Product Search offers." However, this isn't the only upcoming Google requirement that sellers should be aware of. Beginning June 6, merchants offering their items to buyers in the U.S. will also need to include tax and shipping costs in their product feeds. This information is already required for products targeted at other countries, and will help shoppers "know the full cost of an item," Munoz Torrez adds. Google also encourages sellers to state a sale price and sale price effective date in product feeds. While this will not be a requirement, Google says adding the information will help buyers more "accurately compare prices and learn more about products they want to buy." Read more about the upcoming Google product requirements. I hope anyone who is already submitting data feeds or who may be considering doing so go to the Google site and review the information. There is a lot to absorb. It appears that all the required attributes are already in place on the Auctiva Commerce product templates which I am greatly thankful for. It would be a nightmare trying to manually add information for each product. I for one do have some concerns about certain information. For instance I sell mostly vintage items, both new and used. 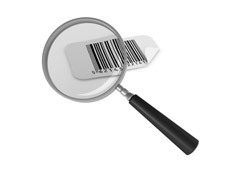 Many items were produced long before there was such a thing as a bar code. continued. Site lets buyers see what offline retailers have to offer.